I recently returned from a wondrous 10 days in Italy, where I was wined and dined as a royal guest in Tuscany. Then I went on to Naples to fend for myself. As I traveled back to the US, I began to digest the experiences from both the north and the south of the country and appreciate the diversity, culture and the treasures that await those brave enough to venture off the beaten path. The catalyst for my trip was a food, wine and cultural immersion, sponsored by Banfi Vintners. I was one of five fortunate sommeliers from the United States selected to spend five intensive days (and nights) touring the Montalcino countryside visiting wine, olive oil and salumi producers. While Banfi, the largest land holder in the Brunello zone, generously sponsored us, the firm made it possible and encouraged us to taste wines from numerous producers at every juncture. 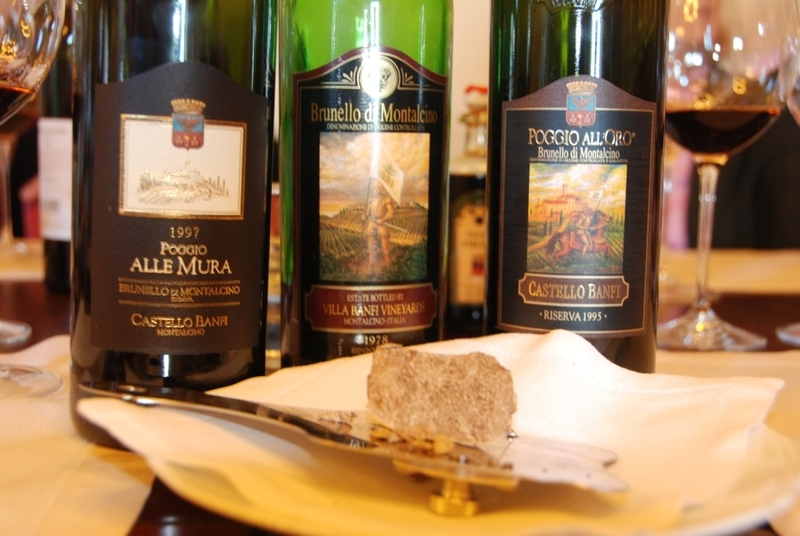 One of the most insightful tastings was an afternoon tasting at a wine bar in a castle in Montalcino. There we did a blind tasting of 14 different Brunellos from the 2004-2005 vintage. Without the labels, we were able to develop unbiased prospectives about the contents of each glass and compare the wine of the newer style producers with that of more traditional approaches. When the bottles were unveiled, it was the Sirio Pacenti, Constanti, and Talenti that were best suited to my palate. A sampling of wines I enjoyed. For the most part we avoided “beaten paths” and visited true artisans rather than the commercial venues. After a sunset aperitivo in the center of Siena we ventured to a local salumeria that locked their front door to the general public at 7 pm and rolled out the red carpet for an after-hours tasting of some of the finest pork products on the planet. Ducking our heads to maneuver through the meat mobiles of proscuitto and salumi hanging from the ceiling confirmed the authenticity of where we were and the true cratmanship of the goods we are sampling. We spent a morning with Frantoio Franci in Grossetto the only property to be recognized by The Guide to the World’s Best Extra Virgin Olive Oil as the olive mill of the year. Not once. Not twice, but three times. We were there in the peak of the pressing season and had the rare opportunity to taste the oil unfiltered directly from the press. It was succulent and smooth with an unrivaled freshness and purity of flavor. It was a first-time experience I will not forget, and because Italians eat olive oil like we eat ketchup, bottles graced our table at every meal and provided a magical note to virtually everything we ate. 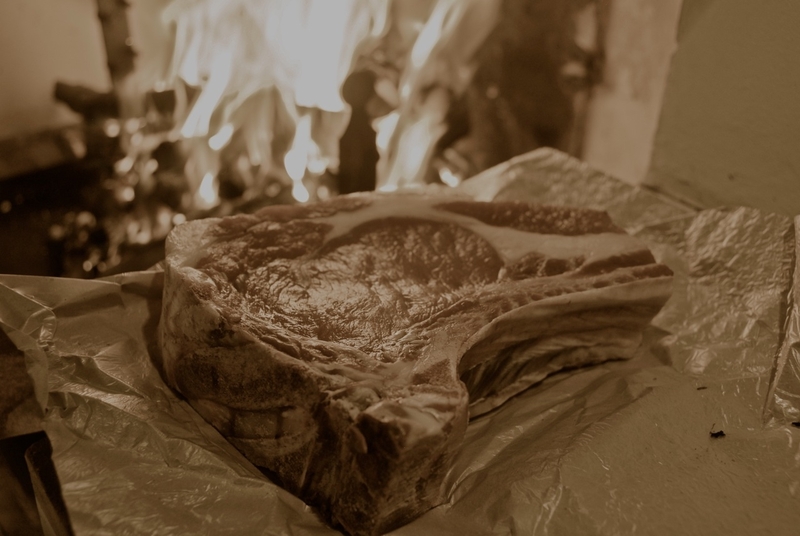 We purchased a delicious Bistecca Fiorentine from the local butcher that we cooked over a wood fire in our humble little villa. 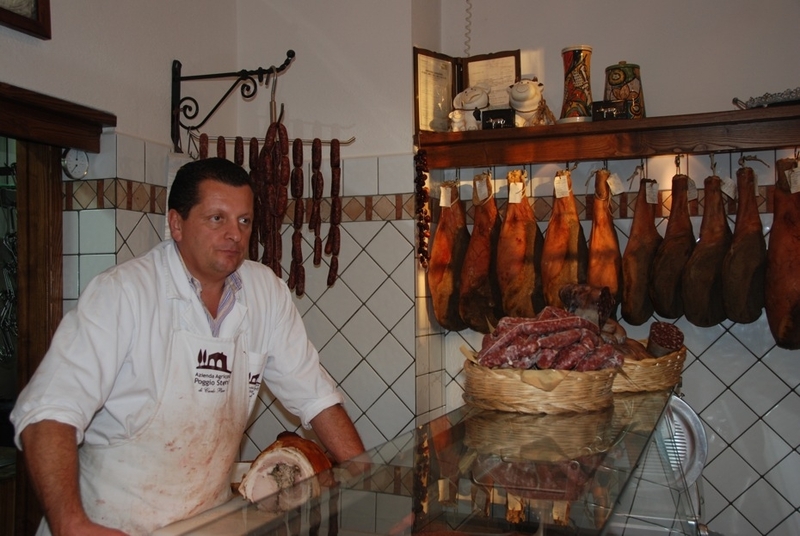 Then we toured the butcher’s shop, which was a carnivore’s dream, featuring hand-crafted delicacies like prosciutto and porchett made from his own animals. It was one of the cleanest butcher shops I have ever been in, and the utilization of every cut was extremely impressive. Later we spent an evening with his family at their home in Montecucco, where we dined on an amazingly simple but soulful zuppa de faro made with faro grown on their farm. This was followed by more carnivorous treats including raw sausage made from local pigs slaughtered two days earlier. The sausage was surreal. Every day we spent approximately six amazing hours around a table wining and dining. The food ranged from simply luxurious to simply rustic—but all shared the common characteristics of rich and complex flavors, devout preparation and the freshest of local products. We savored a luxuriously simple lunch with the Mariani family at their Taverna in Montelcino, where we shaved our own truffles over each dish accompanied by a bottle of ‘78 Brunello. Another afternoon found us standing in a roadside gas station snacking on a porchetta sandwich and espresso at 10 am. Dining was always a communal affair, and wine helped bring everyone together. Everything we ate was an expression of the season in our surroundings. The food was soulfully prepared with minimal ingredients, usually bringing out nuanced but rich flavors. By the fourth day our group quickly arrived at the consensus that the tour was lopsidedly carnivorous. When accompaniments to meat appeared on the table, we learned that Tuscans like their pasta al dente, their meat on the rare side, and their vegetables THOROUGHLY cooked. Meat was certainly the staple of our diet in Tuscany. I had been to Naples once before as a child and had lasting impressions of Pompeii and the beauty of the nearby Amalfi Coast. It did not prepare me for the abrupt change I felt in the south after coming from a pampered and luxurious visit in the quaint and romantic Tuscan countryside. I experienced true culture shock stepping out of the main train station at the Piazza Geribaldi. I felt like a spinning top as taxis, scooters and trucks whizzed by. The speed of life in Naples laps that of any other city in Italy. Maybe it’s all the espresso Napolitanos consume. The city is one of great contrasts. It has amazing palaces, churches and monuments from its days of grandeur leading up to the 19th century, but it also is a place in neglect. There were graffiti-covered statues, crumbling stucco, stray dogs roaming the streets and piles of garbage on every block as a result of an ongoing trash strike. The town exuded a sense of raw grit. That mixed with the stories of crime, Mafioso and the posted signs to “watch out for pick pockets” made me keep my wallet close and my sense of awareness at a heightened level. We walked the main streets and then ducked into the alleyways to dine on wonderfully delicious pizza and local specialties. I planned my time around eating pizza. 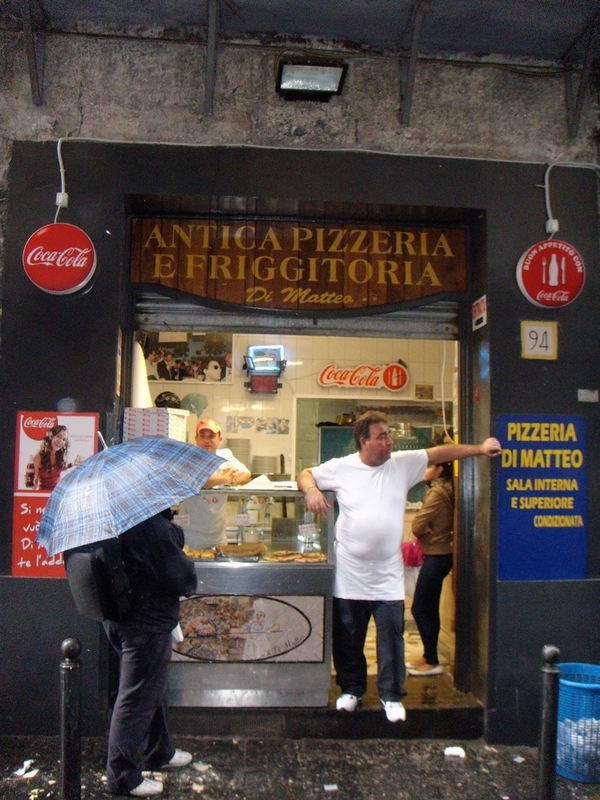 Neapolitans are very proud of their pizza and very loyal to their pizzolas. 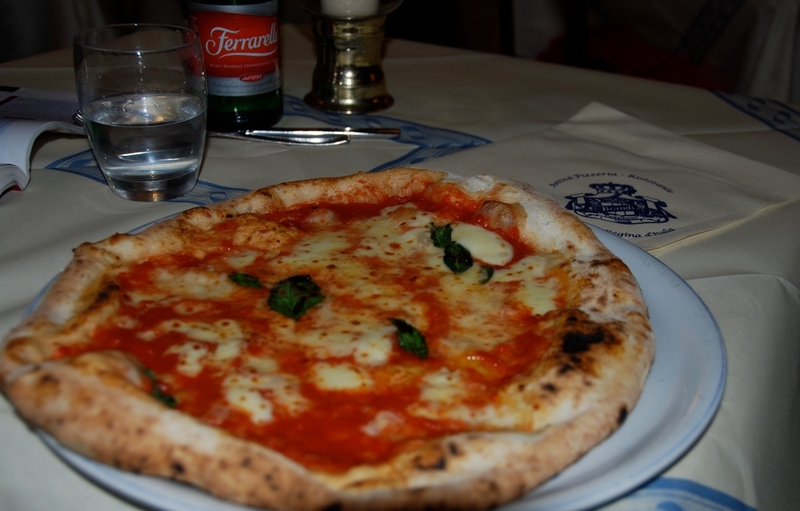 There is even a local certifying board called Associazione Vera Pizza Napoletana (VPN) that provides training and certification to pizzaiolis. The VPN logo served as my guide through Naples. It is the simplicity and purity of the ingredients that allow the beauty of Neapolitan pizza to recalibrate the pizza as we know it in the US. A light dough from ‘00’ flour stretched by hand, hand-squeezed San Marzano tomatoes grown in the volcanic soils of Mount Vesuvius, sea salt, extra virgin olive oil and Fior di Latte cheese– all cooked in a wood-fired oven. The pie itself is 14 inches in diameter, and when served uncut, is a fork and knife experience. Tomato is the dominant flavor, and cheese plays a supporting role. SO DELICIOUS! 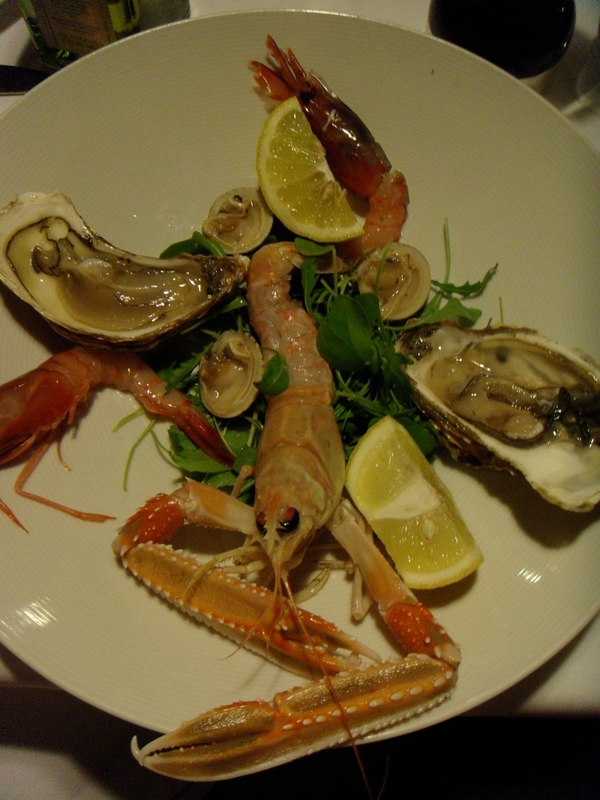 After my carnivorous tour of Tuscany, I couldn’t wait to eat seafood. After careful research I ended up at La Cantinella overlooking the bay of Naples and Mount Vesuvius. After being buzzed through the door and the safety glass entry way, I felt we had wandered into a 1970s Tiki bar, complete with a piano player crooning Italian lounge music. I wondered if I had made the right choice. After being seated, I scanned the room and observed a waiter deboning a seafood medley of whole fish and whole lobster with the speed and precision of a surgeon on speed (remember it’s Naples). Another glance revealed gorgeous langoustines being served like we serve truffle fries at Ajax Tavern. Every table had them, and not to feel left out, I sampled them. They were better than advertised. The seafood was pristine, and the service was classic. It was a trip back in time to the restaurants of years gone by. A nice break from meat, seafood was just what I needed. On the recommendation of a chef who lived in Naples last summer, we headed to where the locals go and ended up at Nenella. Think Buca de Peppo meets “My Big Fat Greek Wedding,” with a touch of Jerry Springer disfunctionality. The food was unmemorable, with service like nothing I had experienced before. We were the only non-locals in the restaurant where everyone else knew the servers by name. Within the first 15 minutes I observed a guest poke a server in the rear with a steak knife no less than five times to get the fruit bowl brought to his table. The server didn’t flinch, and the guest didn’t get his fruit bowl. Another server sprinkling parmesan on the pasta intentionally sprinkled it in the lap of a regular while the chef smoked in the kitchen. Then there was a screaming argument across the dining room between server and owner that ended in a hug. The dessert, whole fruit, was presented tableside for self service in a plastic baby bath, while at another table a server grabbed a dish a customer was eating to show it to another table. He quickly returned it to its original place before the guest who was eating it could put his silverware down. My meal at Nenella was my closing meal in Italy, and it summed up the passion and chaos that I now associate with Naples. For the uninitiated, Naples could be extremely daunting. For those willing to brave it, the culinary and cultural delights can be invigorating, diverse and raw. 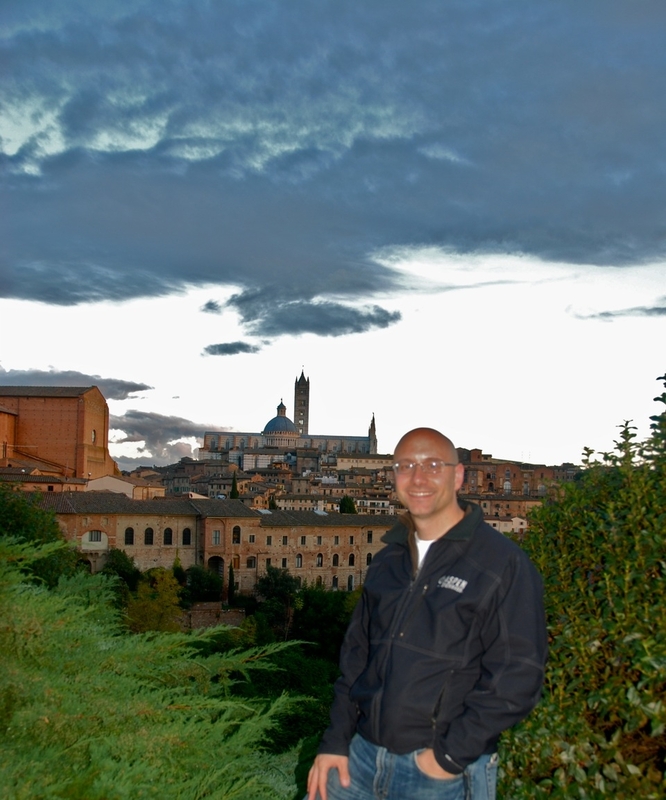 My time in two very different Italian provinces was a true adventure at every turn. I can’t wait to go back! Me, Sabato, in Italian paradise.